IZhawaii.com Features New Song Mixes, Videos and the IZ "Basement Tapes"
HONOLULU, HI--(Marketwire - February 1, 2010) - The Mountain Apple Company (MAC) is proud to announce the launch of http://www.IZhawaii.com, an official Web site celebrating the life and music of legendary Hawaiian recording artist Israel "IZ" Kamakawiwo'ole (1959-1997), loved throughout the world for his recording "Over The Rainbow/What A Wonderful World." IZhawaii.com features new song mixes and videos, and IZ producer Jon de Mello shares the IZ "basement tapes" -- never-before-heard conversations between IZ and Jon that were captured during rehearsals and recording sessions. These beautiful, profound and funny stories present IZ's personal philosophy in a new light. At IZhawaii.com, fans can join IZ's Rainbow Ohana (family) and listen to IZ's stories and anecdotes, as well as new commentary by de Mello. On the site, de Mello blogs about IZ's music making process and introduces song mixes that have never before seen the light of day. The success of Israel "IZ" Kamakawiwo'ole began many years ago in Hawai'i. 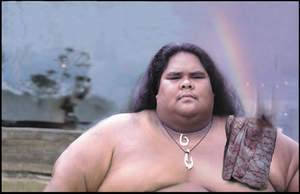 In 1993, following a successful run as part of the group Mäkaha Sons of Ni'ihau, IZ ventured out on his own. His first release was the remarkable CD "Facing Future," which brought the focus on his stunning voice and launched his successful solo recording career. "Facing Future" was followed with the release of another five remarkable recordings, "E Ala E" (1995), "N Dis Life" (1996), "IZ In Concert: The Man and His Music" (1998), "Alone In IZ World" (2001) and "Wonderful World" (2007). With each successive recording, IZ shared his love of Hawai'i and her people with the world -- and the world responded in kind. Today, "Facing Future" remains the top selling Hawaiian music album in the world. While IZ has always been revered in Hawai'i, his worldwide influence came later. His music first gained national attention in the mid 1990's. Listeners around the world were becoming aware of the power of the music, including those involved in film and television. These great fans were insistent in their desire that his music be used in their projects. The more IZ was exposed to the world, the more fans responded. His music has been heard in the films "Meet Joe Black," "Finding Forrester," "Made," and "50 First Dates," and on the television show "ER." Visit www.izhawaii.com and www.mountainapplecompany.com for more information. The Mountain Apple Company is the official recording label of Israel "IZ" Kamakawiwo'ole. About The Mountain Apple Company: The Mountain Apple Company HAWAI'I is a multifaceted record label that also publishes, licenses, produces, and distributes scores of island music. The Mountain Apple Company HAWAI'I provides talent management and consulting for many of Hawaii's most successful entertainers in addition to providing innovative concert and talent promotion, stage design, and production.